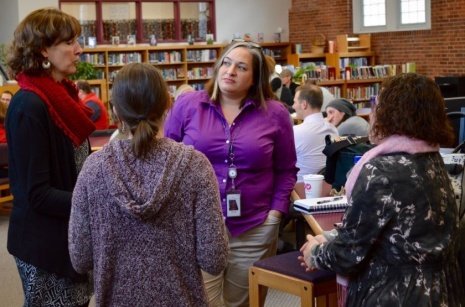 The Winnipesaukee Educator’s Substance Misuse Prevention & Intervention Collaborative is intended to provide elementary, middle and high school educators and school day staff that are experiencing substance use, misuse and addiction in their schools, with opportunities for education, information and collaboration. Sessions are held three times each school year. For more information please contact Kelley Gaspa at kgaspa@pphnh.org. 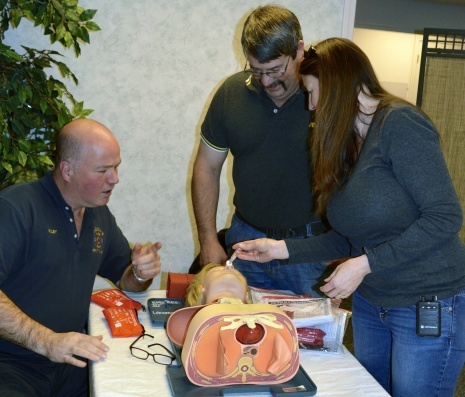 Picture Right: Laconia Deputy Fire Chief, Shawn Riley provides hands on training for Naloxone Administration. The Partnership for Public Health, along with sponsors: Horizons Counseling, Genesis Behavioral Health, LRGHealthcare, HealthFirst Family Care Center, the Beane Conference Center and the Laconia Fire Department hosted a community event for training and distribution of Naloxone. In addition, a variety of local resources were onsite to provide formation on support, treatment and recovery. Families Sharing Without Shame is a meeting place for parents who have a child or children who are or have misused drugs and or alcohol.Our goal is to provide parents a safe place to share their fears, tears and triumphs. We commit to advocating throughout the State of New Hampshire to eliminate the stigma associated with addiction. Meeting held Monday evenings 7-8:30 p.m. at Lakes Region General Hospital, 80 Highland St.,Laconia, N.H.Lower level by Café in Conf. rm. 3/4. Contact Donna M. at 603-568-0533 for more information. F.A.S.T.E.R. will hold support groups every 2nd and 4th Thursday of every month. 6:00 to 7:30 pm, Lakes Region Community Services/Family Resource Center, 719 No Main St, Laconia. Contact Nancy 603-293-0960 for more information. Officers, State Troopers, First Responders and other local professionals joined the community for National Night Out. This was an opportunity to learn about local programs, access resources and show support for our law enforcement and 1st Responders in the Winnipesaukee Region. 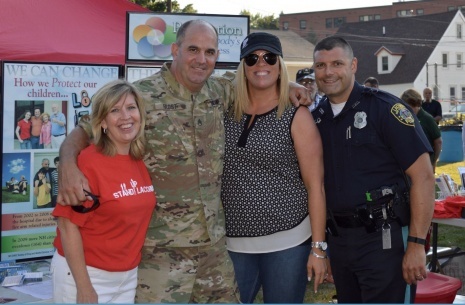 Pictured are Clare Persson of Stand Up Laconia, Staff Sergeant Rick Frost with the National Guard Counter Drug Taskforce, Kelley Gaspa with the Partnership for Public Health & Prevention Enforcement Treatment Coordinator Eric Adams of Laconia Police Department. 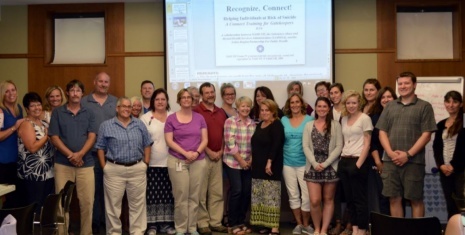 Working together to reduce substance misuse throughout Laconia and the Winnipesaukee Region. For more information, contact Kelley Gaspa, Director for Substance Use Disorder Systems Integration, at (603) 528-2145 or kgaspa@pphnh.org. New Americans learn about substance abuse.